Developer: Ghost Town Games Ltd. When the original Overcooked was released, there was no imagining that the game would be such a success. 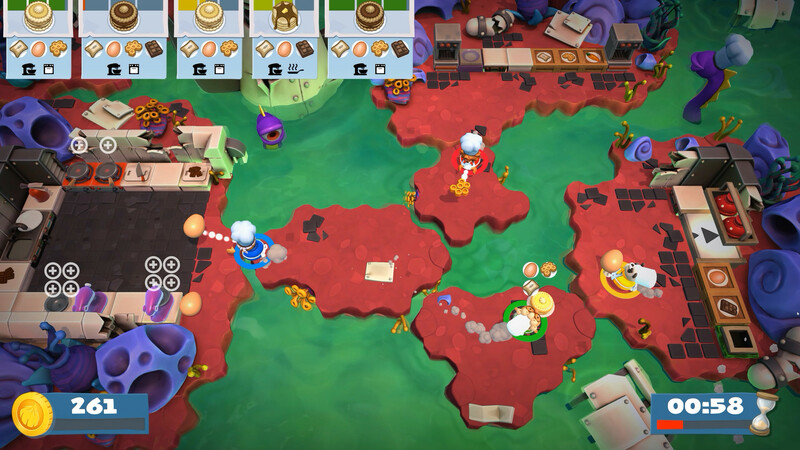 The publishing studio behind Worms did it again, and this time in the form of a co-op cooking party game, in which you have to create dishes in wacky circumstances, all while running around in circles in the kitchen, avoiding traps, running against your friends and simply preventing any mishaps from happening. Both the original game and the DLC proved to be great party experiences, but now, with Overcooked 2 hitting the stores we were promised more content, more dishes, more chaos and more characters to aid us on our quest in the kitchen. Just like in the first game, thing have gone terribly wrong. Someone has read from the Necro-nom-nomicon and now the world is swarmed with the Unbread. You, and your army of fellow cooks will have to practice as hard as you can to defeat the scourge currently trying to ruin the world. Every few levels you will get a bit of text to tell you a bit more, but it often doesn’t feel all too coherent and it’s just a small plot to get the ball rolling. Overall things stay basic from start to finish, but it’s quite nice to have something to hold on to. Just like the first installment, Overcooked 2 has a very cute appearance in all that it does. The characters are all fairly chubby and adorable in their own way, immediately creating a very likeable atmosphere. The environments in which you play are very diverse and interesting, making sure the game and the surroundings it has to offer never become bland. You’ll always be following a formula of the same type of levels, before alternating to something different. The ingredients you work with are cute, clear and the dishes actually look quite fancy in a comic book kind of way. While the game may look like a cute appetizer, it’s actually a main course worth a few stars. 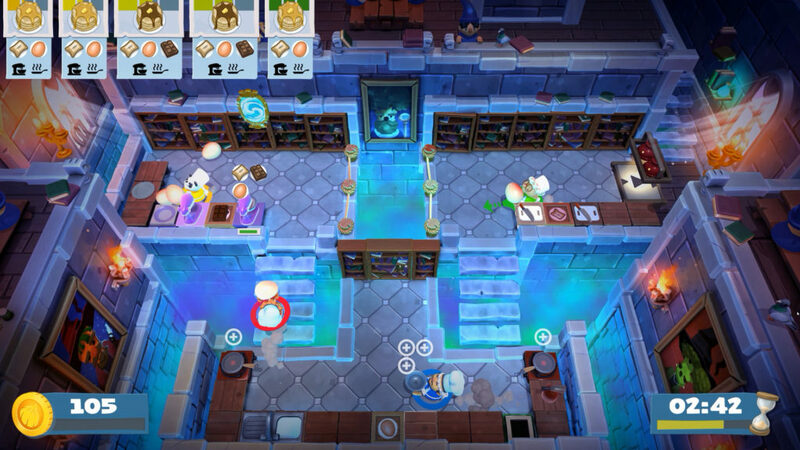 The sound design of Overcooked is still rather brilliant, as the music is upbeat, entertaining and has both a relaxing as well as a hectic atmosphere. Overall the music is appealing, but the endless looping can be a bit nerve-wracking when you just can’t beat that specific level. Other than the music, the sound effects are amusing, with the proper chopping sounds, boiling water, blenders working, fire in the kitchen and much more. Like its predecessor, Overcooked 2 is a party game that’s all about cooking in the most wacky and silly work conditions ever. From start to finish you’ll be chopping, frying, baking, mixing and cooking ingredients to, hopefully, achieve the desired result and serve this to your imaginary clients. All of this is of course practice to defeat the Unbread that are currently pestering the land. Again you can play the game in a solo fashion, in which you then control two characters to try and complete whatever has to be done. Of course the game has been designed for multiplayer play, which is also the most fun in this title. 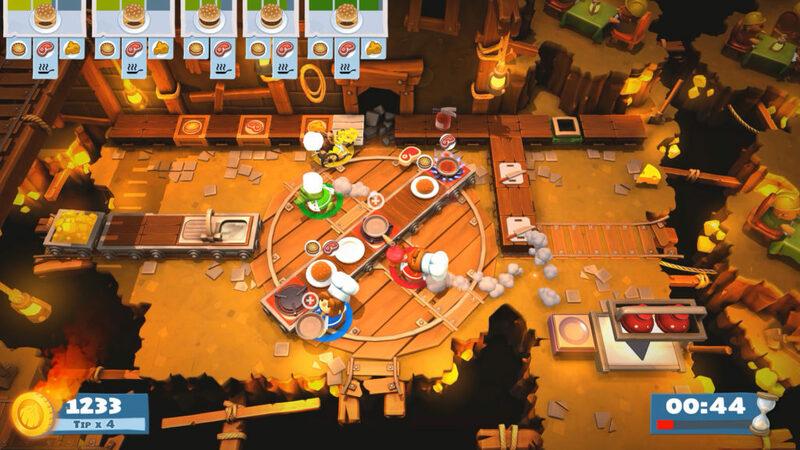 You can play with up to four players, making sure your kitchen is filled with enough chefs to make things chaotic. However, this second installment is a lot easier than the first game, as you require a lot less stars to unlock new levels, and you can more easily achieve the three star requirements of all of the levels. While the first game often required you to make no mistakes in order to reach your highest goal, this title often just requires proper role division and more than often you overshoot the goal by a decent amount of points. While constantly just mindlessly making dishes would be rather boring, the game spices things up by creating variations of the same dish, making it harder to plan ahead. Other than that, the levels often spice things up by adding moving counters, pedestrians that block your way, cars that can run you over, or ever shifting platforms when you soar through the sky on a hot air balloon. Some levels can become annoying and tedious because of these mechanics, but still, you’ll have a blast with all the different options this game throws at you. New in this Overcooked iteration is the fact that you can go online. This is pretty much what you’d expect from online features in a game such as this, but they do lengthen the replayability of this title by a whole lot, because after you’ve cleared the fairly easy campaign there is only so little left to do in the offline mode, as getting three stars on every level is fairly doable. Of course, the couch co-op allows for players to simply play levels again, or duke it out against each other. 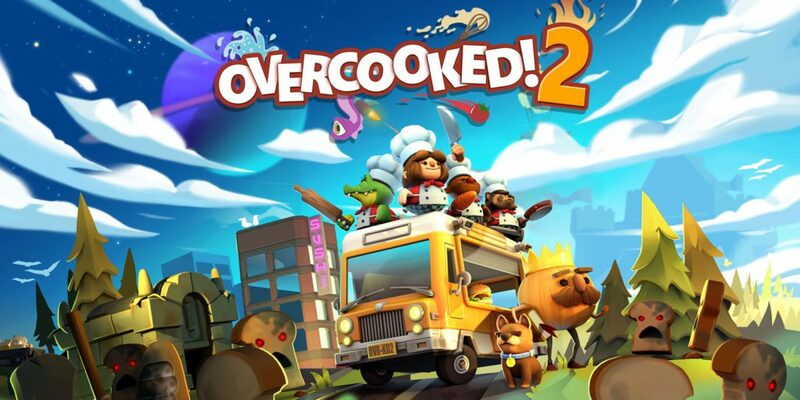 Overcooked 2 is in many ways better than its original counterpart, but also easier and more of the same. If you loved the first game, be it as a single player experience or a co-op party game, you’ll once again be in for a treat. Even though the game has added online features, it’s still the most amusing to play with a couple of friends on the same couch. 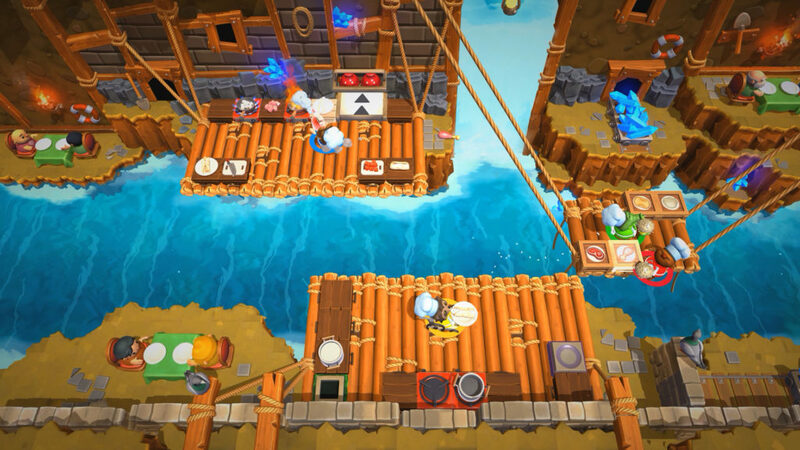 Overcooked is certainly a series worth keeping an eye on, and we truly hope this party game spawns a few more sequels.